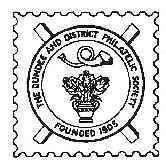 23rd October Visit from Lanarkshire P.S. 4th November Visit to Scottish P.S. 29th January Visit to Falkirk & District P.S. 17th February Visit to Arbroath P.S. 10th March Visit to Edinburgh P.S. 19th March Visit to Aberdeen P.S.